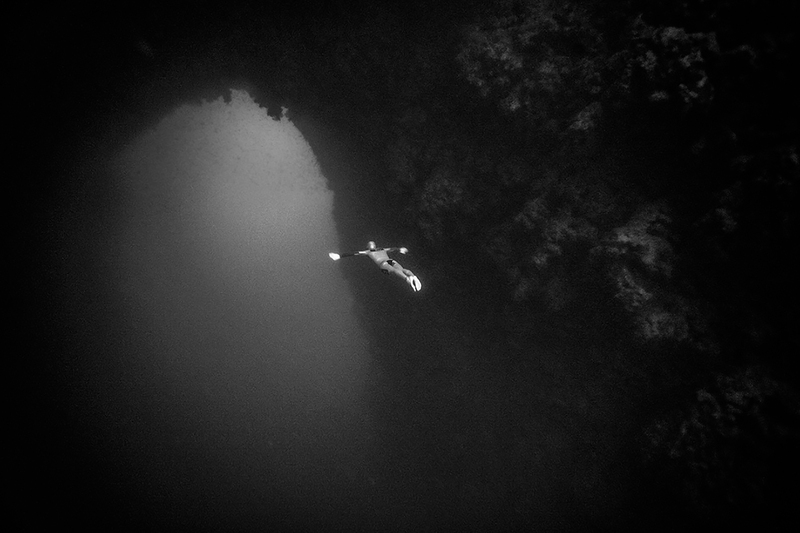 William discovered freediving was a competitive sport in 2005, and quickly became part of the elite, earning several medals at World Championships and setting countless Pan-American records in virtually all disciplines. He went on to set a historic first on June 1st, 2007 by becoming the first man to dive the 60-meter deep and 30-meter long passageway known as the Arch in the Blue Hole of Dahab, Egypt, without fins and on a single breath of air. 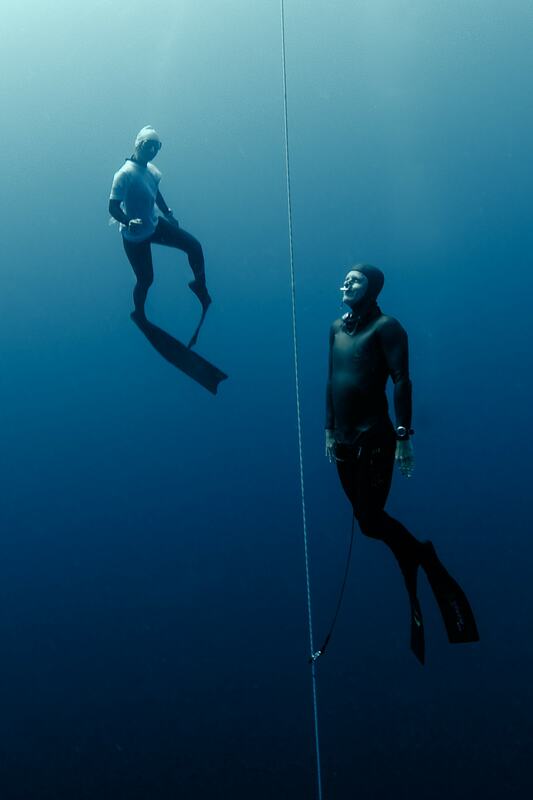 In 2013 William broke the Classic Constant Weight World Record, descending to a record-setting depth of 94 meters. 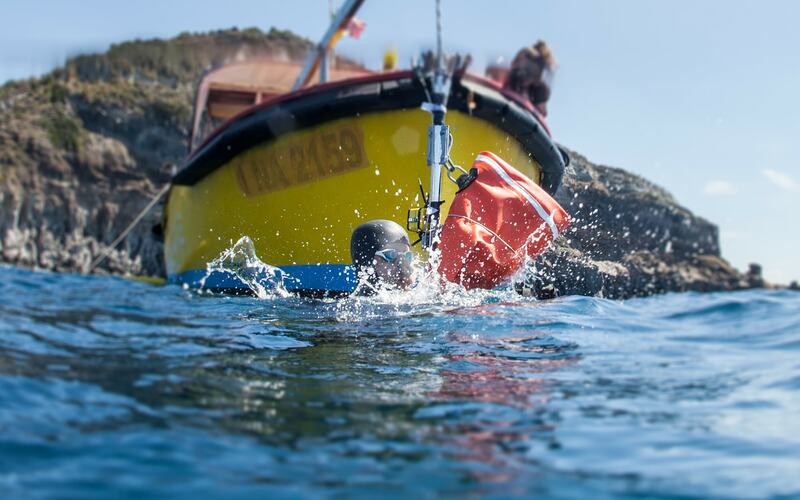 That same year he challenged himself to even greater depths: During a dive of 3 minutes and 8 seconds a sled pulled him to a depth of 145 meters (476 feet) from which he swam back to the surface on a single breath of air. 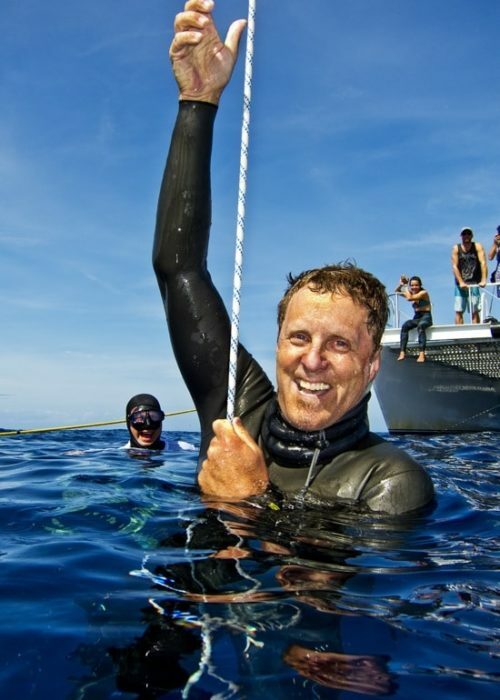 Thus setting a new world record as well as claiming his 28th national freediving record. A life on, in and around the water has always been a part of William’s heritage. Born and raised in the Canadian Pacific Northwest in the early 1960s, he learned to freedive with his father, a scuba instructor and Search & Rescue diver. 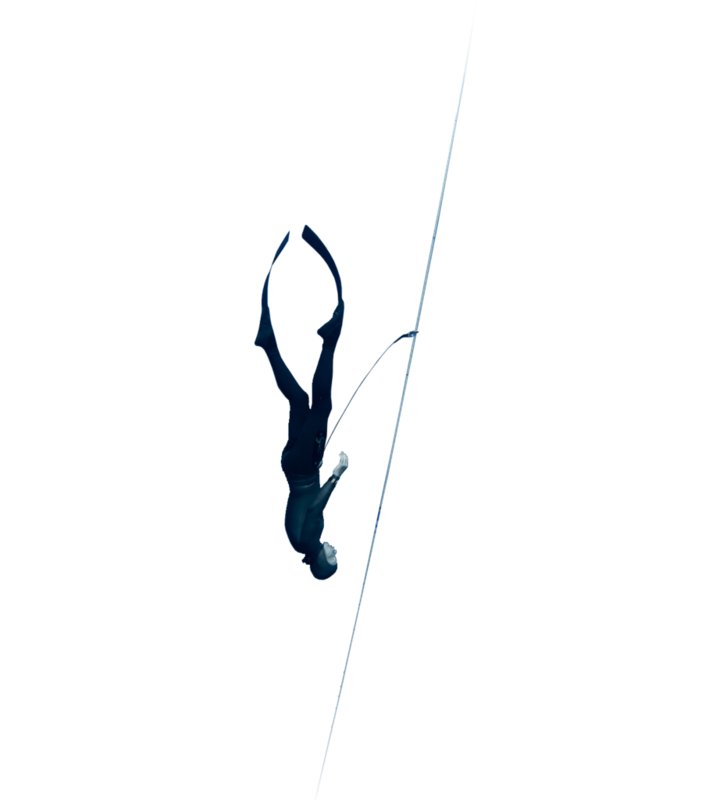 By the age of ten, William was diving to twelve meters on a single breath of air. For the next ten years, he spent most of his time swimming laps in a pool as a competitive swimmer. Occasionally, there was the odd foray to the ocean with his father, but mostly his focus was winning medals in the pool. A waterman at heart, William is also an avid big wave surfer and has been fortunate to have many opportunities to swim with dolphins, whales and sharks, the latter being his passion. 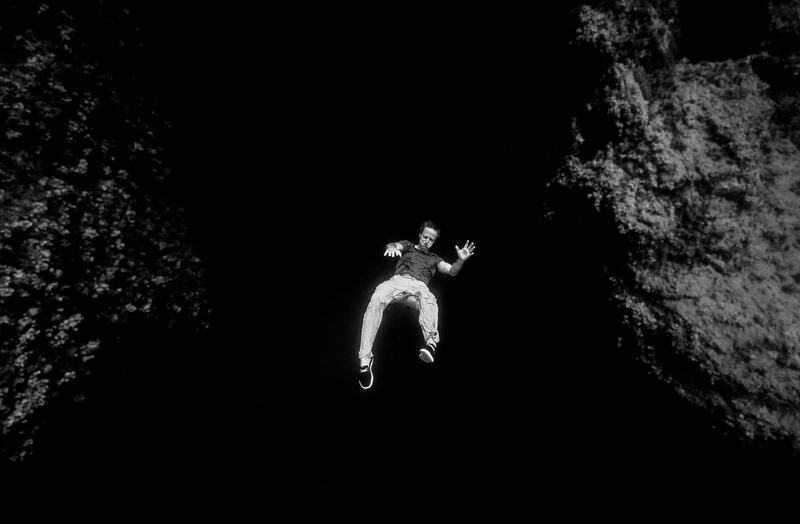 He discovered freediving was a competitive sport in 2005, and quickly became part of the elite. 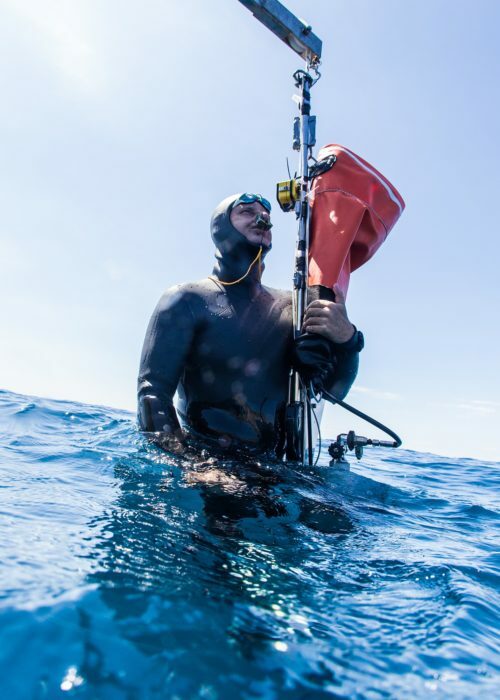 Today, while William still competes at an international level, he shares his time between underwater filming, teaching specialty seminars on breathing and breath-hold as well as coaching other freediving competitors.